You may think you know what a ‘pest’ is – something that annoys you. But pests have a particular definition, and understanding it helps us to understand why it’s so important to keep pests under control. 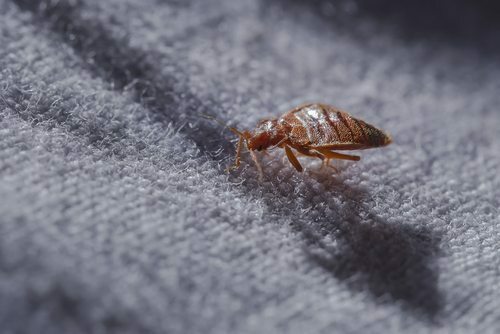 Here’s a guide from the experts at AGJ Pest Management. · Disease causing- and carrying micro-organisms and parasites – for example mosquitoes carrying a virus. Another major characteristic of a pest is that they are sufficiently accustomed to the habitat to spread quickly and easily – making them hard to control in general and requiring specific pest control measures. Pests don’t usually strike individually – their presence is the sign of a larger problem. Although they may look like pests, it’s important to note when some insects and animals are not pests. Not every species of termite is a pest, for instance. Many species of insects and animals in fact perform necessary functions for the ecosystem – thus excluding them from our definition of ‘pest’. For instance, parasitoid wasps live off caterpillars. Caterpillars can themselves be a pest – living off and destroying crops – so you should be thankful for the parasitoid wasp’s presence – as it provides an important function in controlling a genuine pest. Bees are another good example. We might think of bees as being a pest because they annoy us. They sting us, and even when they don’t sting us, the prospect of them doing so makes them a real pain to have around. But bees play a vital role in our ecosystem – pollinating flowers and the like. Sometimes, it’s better to relocate bees than to simply exterminate them. How to treat a pest or suspected pest will depend on the ecosystem they inhabit, and the particular threat they pose. Leave it to the experts to decide what’s a pest and what’s not, and to find the right solution for your home and its surrounding ecosystem. We pride ourselves on keeping at the cutting edge of pest control technology and services, and aim for comprehensive pest control at the same time as we don’t unnecessarily disrupt the environment. Contact us today for a quote!